Your Garden Centre could be missing out on a really easy way to increase engagement with your customers and make you marketing super easy! From the cafe to your outdoor space, we can create a ubiquitous WiFi signal to enable your guests to get online and surf the internet – great for finding out more about the stock you sell! 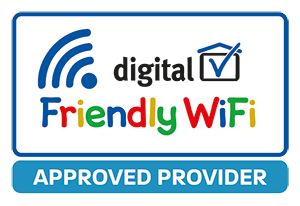 Garden Centres can use a Guest WiFi Hotspot to deliver free WiFi to their customers using an existing internet connection. The WiFi asks customers who they are, capturing all important customer details. The guest information is then stored and can be used for highly targeted email marketing, social media marketing and even mobile marketing. Using a Guest WiFi Hotspot to gather data is really simple and also offers your garden centre the ability to advertise offers in house. The branded WiFi landing page can also contain advertising enabling you to really push offers and promotions to the customer while they are visiting! Garden Centres using WiFi can additionally improve their social media presence. Our Guest WiFi Hotspot solution will send each customer one of our LFR emails (Like Follow Recommend). This communication asks the customer to like your Facebook page, Follow you on Twitter and submit their recommendations to Trip Advisor. We can even deliver bespoke, timed emails to suit your business – driving customers to your restaurant or other facilities! If you’re looking for WiFi for your garden centre our solution is affordable, extendable (we can even cover your outdoor spaces) and contains all of the features you need to start using WiFi to become more profitable. We also offer the digital marketing services and specialise in the best use of your Guest WiFi data.